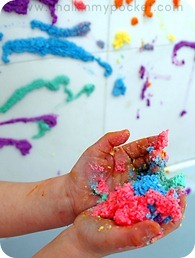 I’m all about celebrating process oriented art, especially messy tactile experiences! 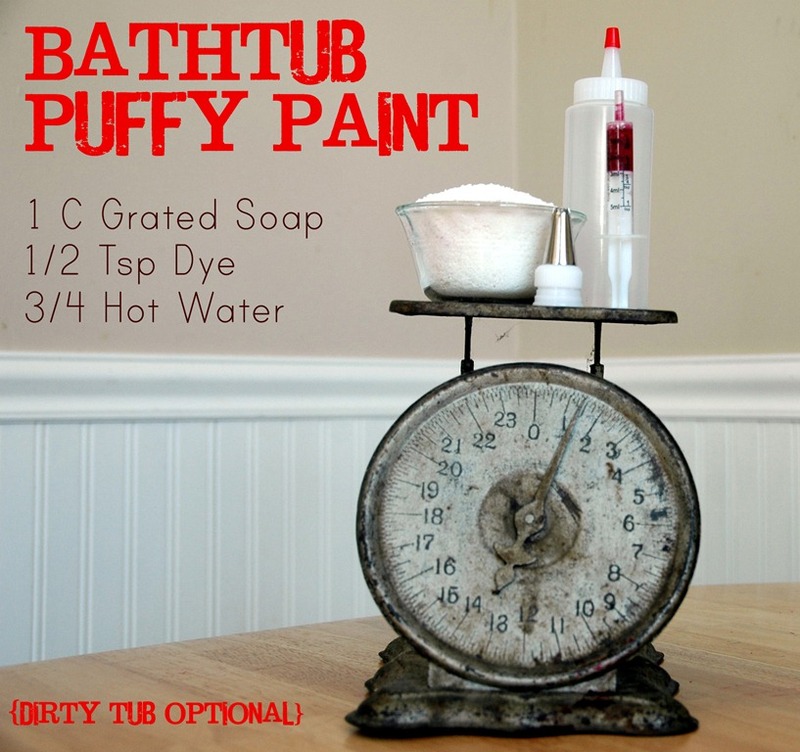 My Cuisinart has been roaring away this past week shredding soap and mixing paint as I perfected this recipe for bathtub puffy paint. 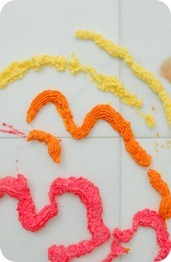 Using a cake frosting tip and a squeeze bottle, my three year old daughter created some fantastic 3D art in the tub! Clean up was a cinch. Handling the shower head and watching the colors run under the water spray was part of the fun! I’ve got a kiddo with sensitive skin so I used her Johnson’s Buddies soap to yield 1 cup of finely grated soap flakes. A lot of recipes call for Ivory soap, but I don’t think this is a brand specific thing – especially if you gradually add the water in the next step. Make sure it’s hot! Worried about your porcelain tiles or white bathtub? These are the liquid watercolors I used for this project. They are super-duper concentrated and for about $13, this package has us more than two years, a few drops are all you’ll need! 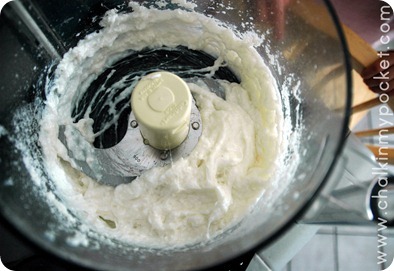 Use your blender, food processor or mixer to get a thick and sticky consistency. A bit of foam is fine, but slowly add the water or else you’ll wind up with bubbles…and only bubbles. The 3/4 C of water is a suggestion, stop once you’ve got a thick but squishy texture (I know, I’m just SO technical and descriptive). I tried two methods for mixing the dye in – ziploc bags and tupperware with popsicle sticks. Take my advice and put the frosting tip in BEFORE you mix it if you are going to ziploc bag route. Mixing in the tupperware allowed Claire to slowly watch colors blend, a practical lesson in color theory. We used our trusty liquid watercolors to dye the paint. Food coloring would work just as well but these watercolors seem to wash off everything and I wasn’t taking chances with white marble tile. I took the picture below standing on the edge of the tub and looking down. Look at those colorful snakes and flowers! The thickness of the paint really let the texture stand out. Claire seemed to find the most success by moving the paint towards the tip and then using her thumb to push it out. Pipe away kid! 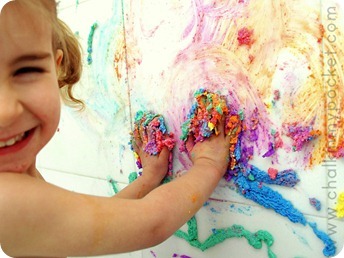 Once the paint was emptied from the bags, Claire went on a fingerpainting bonanza happily squishing colors between her fingers and smearing large circles on the wall. She then hosed down the tiles with the shower head and I’m happy to report (to my husband’s delight) that no colorful stains were left behind. What a fun afternoon activity! I wound up with a clean kid AND a clean tub after a painting session, how often can you say that? If you try this, don’t forget to share your photos on the Chalk In My Pocket Facebook page, I’d love to see your twist on our projects! And PS – if you haven’t seen it already I had an EPIC CRAFT FAIL when I tried to turn this recipe into molded bath soap. It’s rather hysterical and if in need of a good laugh that’s the place to get it! Looking for more artful adventures and craft tutorials? Check out my C R E A T E tab above. This looks like so much fun! You have such great ideas!!! We just have a stand alone tub – but I bet Henry would have a blast painting the entire thing! When we do it, I'll be sure to post a pic on your FB page. That is so cool! I will have to try this sometime. I will definitely link back to you as my inspiration when I do! Thanks for a great idea. This looks like so much fun! I know my kids would have a blast. One question though – does the food dye come off on their skin or the tub? Or is it easy clean up? I've got marble tile on my wall and it rinsed right off (both the kid and the tub). I think there is so much soap that the dye doesn't really have a chance to get into anything. 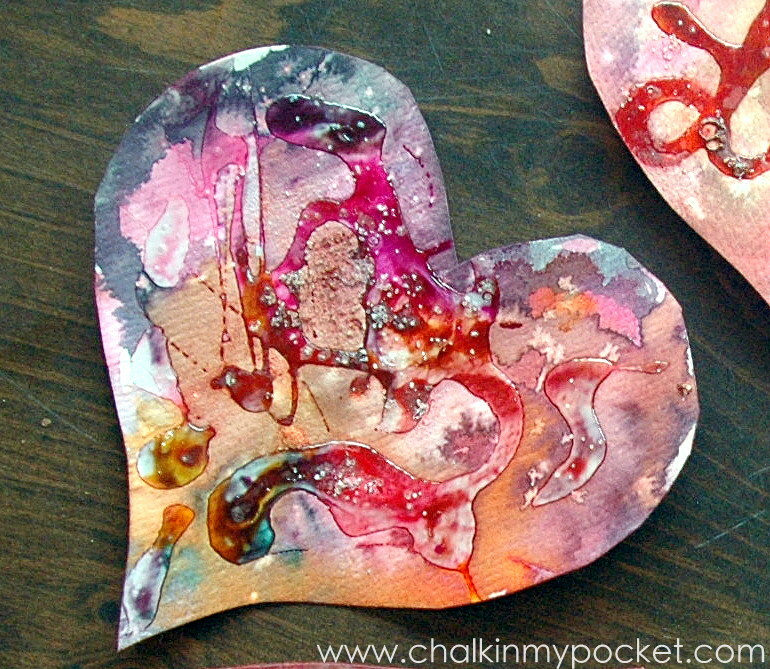 I actually used liquid watercolors for dye, but most of the tub crayon recipes I saw used food coloring. The amount of dye is the same in both recipes, I just upped the water quite a bit for the puffy paint and mixed it rapidly in my food processor. Oh wow! How fun is this Your little girl must have had the BEST TIME ever! The whole process: from making your paint to then getting messy! How wonderful!!! Thank you for sharing it with us on Kids Get Crafty!! Really fab to see you there! That is awesome. I stumbled it! My kids would have a riot with that. You are one clever mama. Incredible!!!! 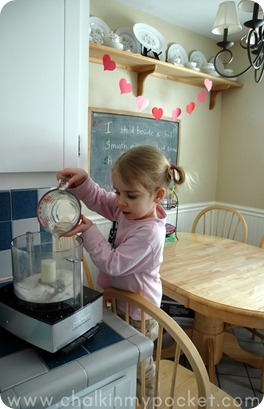 Can't wait to try your recipe… My kiddos would go crazy for this and I like that it makes for easy CLEAN UP!!! Did you have any problems with stains? An old recipe I used left colors for a bit– but it was still with it! @KM – I haven't had any staining issues and I've got white marble tile. I used liquid watercolors rather than food coloring, but the two seem to be interchangeable in most recipes. I think with the amount of soap in this recipe you don't have to sweat it. This would be fun outside too! What a great idea, it looks like so much fun. We are so going to try this thanks for the post. You on my Friday Super mom post!!! This is such a fun idea! Can't wait to check out more of your blog!! This is so fun and bright! I love the colors and it looks like she did too. Thanks everyone! I'm so happy that so many people are inspired by our little experiment! This is one of the best color things we've ever done. Claire is making the whole “blue + yellow = green” connection right now and while piping the paint out was fun, she really LOVED squashing it all together and watching the colors mix! I just found your blog very interesting and really love your idea and want to try it. This is so awesome! Love the pics too. I found cheapie squeeze bottles at the Dollar Tree. They are for ketchup and mustard, I think but the plastic is thin enough that little hands can squeeze it. I cut the tips off a little lower to make the holes bigger. It worked fine! Thanks for the idea! SO COOL!!! My kids would love love love this!!! Happy Day! You were featured! 🙂 Love if you stopped by! I liked the naughty fail version best, they would have been good valentines day sellers! 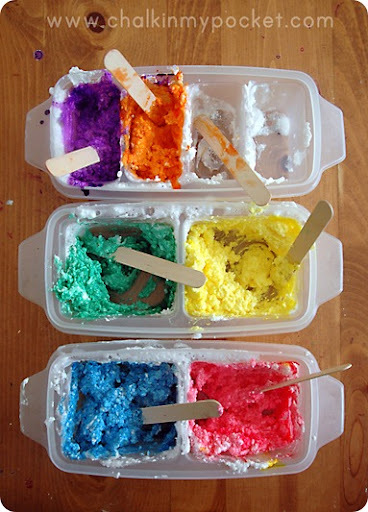 Looks like lots of good clean fun, wishing I had some kids to borrow as an excuse to make some…. what!?! how did I miss this? this is fabulous, regina, and when i get a second i'll link it to my frosting piping post! i love all of the colors, and the consistency of the paint is fabulous. and your pictures — oh my! — i have photo envy! Oh you had so much fun! My Bonus By will love this…I'd forgotten all about puffy paint! Thank you for sharing it at my place! I once used store bought stuff and it stained my grout- we were renting at the time and the landlord was upset. Did this come out of the grout? This looks like so much fun! Love your photos too. Thanks for sharing. I saw this at Sun Scholar Blogger's Fun for the Kids Fridays, thanks for sharing. Your have an awesome blog!! I'm a new follower! Holy cow! Are you my favorite crafty genius or what!!!! Well, I am apparently the last person to learn of your blog, but this puffy paint looks amazing! I can't wait to try it with my girls. I found you through The Artful Parent. I don't know if anyone else mentioned this (sorry, I didn't read all of the comments). 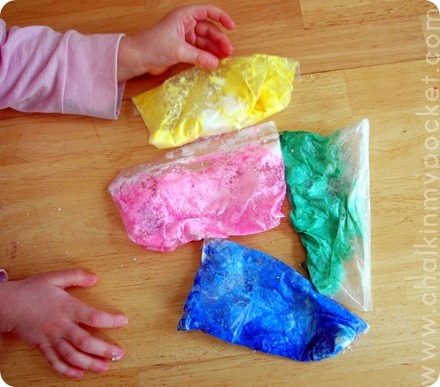 We made something similar once and I used food coloring. It stained the grout inbetween the tiles. We were renting too…. stink. how cool is that? Thanks for linking up to Mad Skills Monday! Regina – Please contact CraftGossip.com!!! You won the Kindle giveaway. You need to contact them right away! This was a blast! I think my fella loved the blue water as much as the puff paint…what a great activity!! That looks like loads of fun! Love the colors! Ahh I loved this when I first saw it and still haven't tried it- I'm defintely going to! It is fabulous. Thanks for linking it to It's Playtime! I am curious what kind of water colors were used? Are we talking like the ones you used in school way back in the day or are we talking something that is water colors, but more like acrylic or poster paint consistency before starting? But how do you grate soap? I only have one of those small, hand held graters to use on things like garlic, etc. I'd hate to use that with soap. Thanks for you tips! @Anonymous – I posted a link to the liquid watercolors in the tutorial, they are very vibrant – a little goes a long way. The consistency is like…water LOL! I had never seen them when I was a kid, but I love them now! @Marcela – There is no such thing as a dumb question! I used a box style cheese grater, about 6 inches tall to grate the soap. I also used the shredder attachment on my food processor, both worked well! The soap rinsed right out…I bet you could even finely chop it up or just try shaving cream and watercolors for a similar tactile experience. thanks a zillion for such a fun and CLEAN activity! I would love to try this but am too scared of it staining my grout. Shame, because my daughter would absolutely adore this. Love it! Sharing this with my readers on my summer activitiy post! How long would this stuff last in a squeeze bottle? I'm making hooded towels for my kids and nephews for Christmas and this would be another great gift to add along with them. Thanks! **And another grout question, since it appears you have grout…I assume you don't have issues with staining then? Hi Carley! I tried emailing you but you didn't have an email associated with your account. Anyway, we used ours all up within a few days…it did separate a little but upon shaking things up, it went back together decently. It's pretty diluted so no issues with grout. Do NOT use food coloring though, I think that's where people run into staining. Check out the washable liquid watercolors I linked to, you can use them for lots of other projects afterwards. Love this idea; and your daughter is a mini-Picasso! whenever we paint, no matter what the colours, it always ends up brown… definitely going to try this, thank you! This worked perfectly. 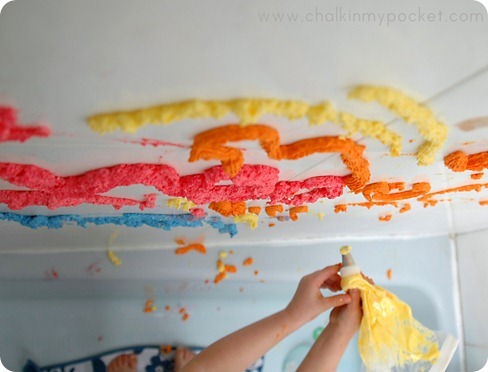 My twins are working on letter / name recognition, so I wrote their names on the bath wall with washable crayon for them to “trace” with the bath puffy paint. We are in the midst of going chemical dye free in our home, but obviously plain white puffy paint bath soap is no fun, so I tried adding a tiny bit of beet juice & ended up with a pretty pink for my daughter and then used a few spinach leaves right in the blender and came out with a light mint green for my son. They LOVED it! I must confess, I didn't read all of the instructions though and just dumped 1 1/2 c water into my 2 c shredded soap-LOL! What a bubbly mess. BUT- just to let you know, I split the batch up, then added a little xanthum gum as a thickener (I wonder if corn starch would also work) and it thickened right up for me, so I was able to save it! Thanks for the great post!! we've got no kids yet, but i might try this for myself! lenders and also have been capable to meet their financial obligations and requirements whilst still being maintain a a good credit score rating quick Loans advantage 2 – no pmi insurance a second advantage to va home mortgages is the fact that there is just not a requirement kind of mortgage insurance. That's genius, what a save! I'll have to try this again with your method…maybe it would save time overall! It turned into what I like to call “preschool brown” after she smooshed all the colors together! Heehee! Luckily WordPress notifies me when new comments come up! And I am SO SO SO glad you mentioned the link not working, looks like the affiliate links were all changed, I’ll get on it now. In the meantime, here’s a link to the liquid watercolors: http://amzn.to/1O5sOnc if that doesn’t work drop me an email regina@chalkinmypocket.com and I’ll send again. Any liquid watercolors should work, they last forever so small bottles are fine, a little goes a long way. If you’re doing outdoor crafts with it try food dye too, it will stain tile but is fine for outdoors! So, would I just take any bar soap and grate it up for this recipe? I ran across this as a substitute for buttercream frosting to practice piping with. Is the consistency the same, or similar? Oh my goodness – I switched platforms and had no idea there were comments sitting here waiting for moderation, so sorry! Anyway, yes – it’s pretty close to the consistency of frosting but will be a little fluffier! I think it’d be perfect (and cheap!) for practice. Next Next post: Loving Our Buddha Board!